Book your golf coach hire for your golf trip with Bouden Coach Travel. 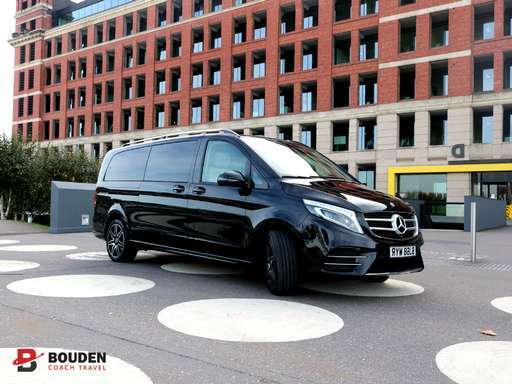 You’ve come to the right place for your golf coach with a driver, Bouden Coach Travel have many years experience with golf tour operators and golf courses across the country. If you’re organising a golf trip or a golf tour be sure to enquire with us about our golf coach hire services Call 0800 112 3770 or CLICK HERE. We offer golf coach hire at budget friendly prices for you and your group. We pick up golfing groups for golf trips and golf tours 365 days a year. We know just what it takes to deliver a professional golf coach hire service. Here at Bouden Coach Travel we promise to deliver your golf coach with driver that will get you to your destination on time, hassle free and in style. We have teamed up with Golf South West to bring you beautifully tailored golf breaks suited to you and your group. Just like us at Bouden Coach Travel, Golf South West take the stress out of booking your golf trip, they offer consultancy and specialist advice to golfers looking to book a golf breaks and tours. With our range of corporate minibuses and coaches to hire we will pick you up from your location and whisk you away to you golfing destination faster than a hole in one. We can’t wait to offer you the full golf break package with the help of Golf South West. Get in touch with Golf South West today to book your golf break CLICK HERE to see what they have to offer. Our coaches for golf tours benefit from plush interiors, air conditioning, fridges, toilets, tinted windows, music, TV’s and much more. We have vehicles of all sizes perfect to cater to your golf trip coach hire requirements. We can provide 24 seaters, 33 seaters, 49 seaters, 52 seaters, 57 seaters, and 62 seaters. No matter what size your golf tour group may be we can provide you the perfect coach to hire for your golf trip. We have recently invested into our fleet with brand new luxury coaches to hire for golf trips, these vehicles possess high specification interiors and plug/USB sockets at every seat making them perfect for longer journeys and for golf group coach hire. Wherever you are in the UK we offer golf coach services at cost effective prices. Our driver will pick you up from your chosen location and transport you direct to your chosen golf course on our golf coach hire service. Our drivers are professional, experienced and are guaranteed to provide you with only the best in golf tour coach hire. Our headquarters is based in Birmingham however it is not just golf coach hire Birmingham that we provide. We cover the entire of the UK so no matter where your golf course is based we can get you there. If your golf group is slightly smaller we also offer golf minibus hire services CLICK HERE TO FIND OUT MORE. We organise transport for golfers across the country, in the past we have provided coach hire for golfers of all ages and abilities. If you’re organising a golf trip or a golf tour be sure to enquire with us about our golf coach hire services. Call 0800 112 3770 or CLICK HERE.